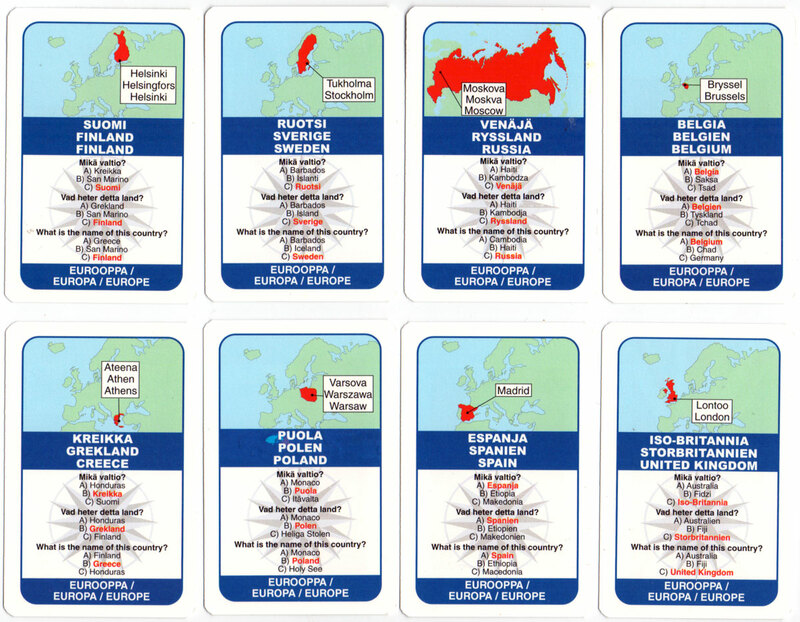 Spectrum World Tour Quiz is a card game published by Tactic Group for Finnair. The game involves recognising flags from different independent countries and their locations on the map. The pack contains 48 different flags, pictures of Finnair’s airplanes and also includes The Rules in three different languages. The reverse of each flag has a map of the respective country with its capital city and the name of the continent to which it belongs. 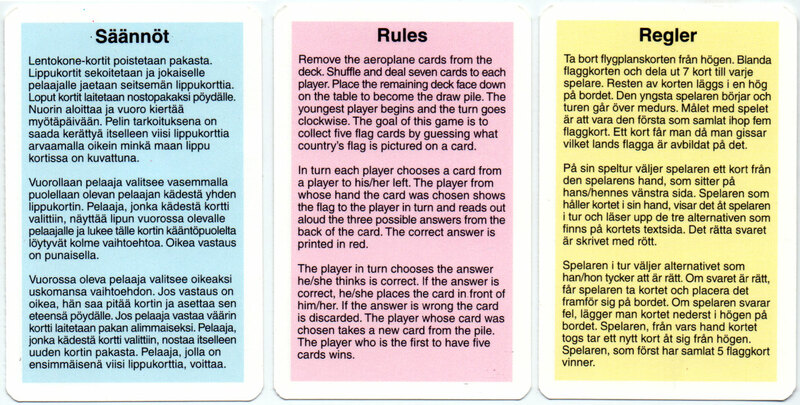 Above: the pack contains photos of Finnair’s airplanes which are removed before play, also a total of 48 flag cards with maps and country names on the reverse plus 3 rules cards in a tuckbox.